Negotiating with your little one isn't always easy. Reasoning with a testy 2-year-old is hardly an ideal scenario, but how you approach these trying situations will set the groundwork for a future with fewer run-ins. Erica Rosenthal, Ph.D., a researcher in the field of attachment theory, parenting, and child development, outlines productive strategies for setting boundaries with children in U.S. News & World Report. 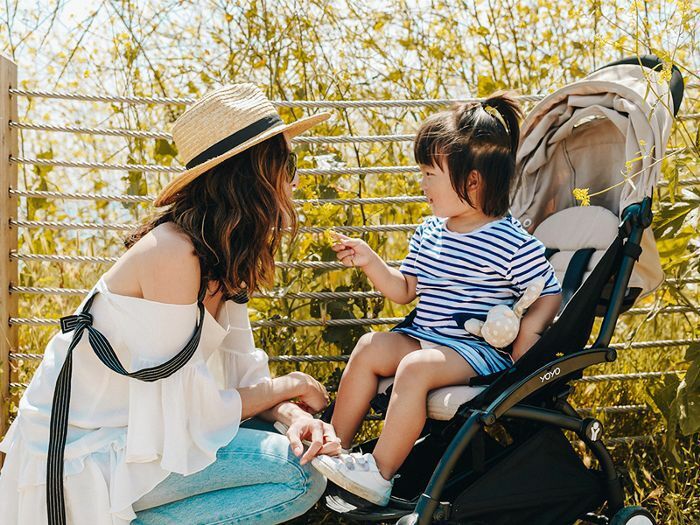 Though it may sound counterintuitive, drawing the line with your children actually "provides a sense of order that's comforting and supportive," she explains. Below are the two biggest takeaways from Rosenthal's parenting strategies for saying no to your child's negative behavior (without actually saying it). Reinforce positive behavior. Rosenthal underscores how important it is to give attention wisely, comparing a parent's attention like a spotlight for a child. When they get it, it makes them feel special. If you're regularly giving attention to negative behavior by scolding and disciplining, you're actually reinforcing these actions. Instead, overly emphasize their good behavior, always being sure to acknowledge what they're doing right, congratulate them for their successes, and provide consistent positive reinforcement when it's due. Disregard negative behavior. "The strategy that's most useful to decrease your child's negative behavior is to ignore it," says Rosenthal. By receiving no response or attention from parents for these actions, "over time a child will learn that there's little utility in that behavior and discontinue." Rosenthal admits this strategy requires a lot of strength of mind and patience, but it's well worth it to stay steadfast and instill these positive habits in your children at an early age. Ready for more? Discover the secret to raising highly successful kids, according to science.